The game of bingo is a popular one for players from all over the world, and it is a popular game played by British, American and Australian players. Hundreds of licensed and operating sites online cater to bingo fans and will offer the opportunity to play these great games for real money payouts. One of the amazing benefits of playing bingo online is being able to choose from various game formats, each offering different ways to win and some providing the chance to win progressive jackpot payouts. Here, we inform players on how they can get started with these amazing games right from the comforts of home or on their mobile devices. As mentioned, there are hundreds of sites up and running, and these will all offer various game variations, bonus offers and other player incentives. For beginner players, it is recommended to start with a site that makes use of trusted and good software providers, such as Dragonfish or Virtue Fusion. 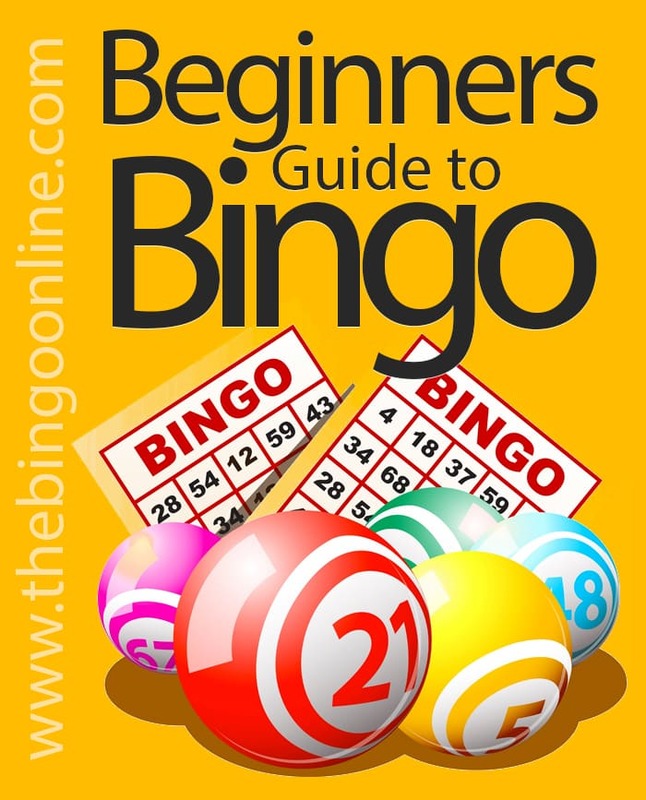 There are quite a few factors to be considered when choosing a bingo site. The software and network being used. These will both affect the bingo games that are being offered as well as the level of competition. When rooms and sites attract more players, the chances of winning are lower, but the payouts can be much higher. Deposit bonus offers – new players will benefit most from a no deposit offer, where they will not have to risk any of their own money to get started. Many great sites will provide a small amount of free money to use for initial games, and this bonus can generate real money payouts, allowing players to make a deposit and purchase more bingo cards with bonus winnings. The cost of Bingo Cards – every player will have a different budget in place when they are playing for real money. Beginners may benefit from free, or penny bingo games as these low-cost games have a lower risk. As players win and become more experienced, they will want to play games for higher amounts, so they need to make sure their selected site offers multiple card values. As soon as players have selected a site that will meet their bingo needs, they will have to create an account. This is done by clicking on the Sign-Up or Join Now button on the main page. Players will go through a quick registration process, where they will choose their username and password and enter some personal information. The best bingo sites will always provide player protection and will use secure encryption software when any transaction is being processed. This offers a safe and simple way to play real money games online while knowing that all sensitive data is protected at all times. After an account has been funded, players can go on to benefit from any offered bonus deals at the site and will be able to choose from any games supported. The majority of top rated bingo sites have many great games in their portfolio, so players will be able to choose from games like 30, 50, 75, 80 and 90 ball bingo. Players will then just select the type of game they enjoy and will purchase their cards, with multiple cards being available for single games. There are also jackpot games that are appealing as these can offer incredible payouts. With online bingo, players will find they have excellent chances to win and get started quickly, easy and secure, allowing players from all over the world to enjoy the thrills of bingo at any time from home or by accessing sites on their mobile devices. Each site will have different bingo games that can be enjoyed, and most sites have multiple variations that are provided. These games are all played in the same manner, with players daubing spaces on their card to create winning patterns. The main difference between the games is some numbers that are used, card layouts and patterns required for payouts. Standard games include 90 and 75 ball bingo, and these are both found at most leading sites. With the 90 ball game, players will have 27 squares containing numbers, and there are three rounds of play, including one line payouts, two-row payouts and a full house. With 75 ball bingo, there are 25 squares and players can win by completing some patterns, lines and a full house. There are also other variations that can be found online like 30 ball speed bingo, 50 ball bingo and 80 ball bingo. These are faster-paced games that offer multiple chances to win and can be played for various bet amounts. With online bingo, players will enjoy options that are not presented when playing at a land location and these options can make for more exciting bingo sessions and provide better chances to win. Most online bingo sites will provide an auto-daub feature, where players can enable this so that squares are automatically daubed when the numbers are called. This is a useful tool when playing multiple cards. Other enhancements include Best Card Sorting and Best Card Highlighting. With the sorting option, the computer will place cards that have the best chances of winning at the top of the screen so that they are easily visible at all times. With the highlighting option, the system will be alerted to highlight any cards that are close to achieving a win. One of the amazing benefits of being able to play bingo online is having the option to test games in a free game version. This is a perfect way for any beginner to get started as there is no financial risk. Most of the top rated online casinos and bingo rooms online will have a variety of free games that can be played. Some will require players to create an account while others will simply offer free games with no requirements at all. Free bingo games will not offer the chance to collect real money payouts, but they can provide a nice way to become familiar with the different variations of the game. These free games will provide a preview of each type of bingo game being offered, so players can try them out and choose the game that fits their needs. Playing bingo at land locations can be thrilling and enjoyable, but players who access the games online will have many more benefits. One is the offering of bonuses. Almost every operating bingo site will have an array of offers that are available to real money players, and these can add free money to accounts and offer more chances to win. The most common form of a bingo bonus is a welcome offer, where players will receive a match bonus based on the amount of their initial deposit. This free money can then be used to purchase more bingo cards and can generate real money winnings. Some online sites will also offer no deposit bonuses, which are perfect for beginners. With these, no initial deposit is required, so it is a risk-free way to start playing real money games. If winnings are generated from the games played, players will have to make a deposit and meet the wagering requirements. However, if they lose, they will not be obligated to remain at eh site or make any financial transactions. Some sites offer ongoing bonuses, where players can receive more match offers on additional deposits, free games and other rewards. Each site will have a Promotions page where all available bonuses are listed, and these can all provide fantastic ways for players to continue enjoying the action of their favourite bingo games online. With so many players around the world enjoying the excitement of online bingo, some top notch sites will also offer a mobile platform. This will allow players to have constant access to their account and the bingo games that are offered. Mobile bingo games are played just like their online counterparts and players can win real money payouts. Mobile bingo sites will also offer an excellent array of bonuses and promotions and players will have access to different game variations just as they would online. Most sites will support the use of popular mobile devices, including tablets and players using Android and iOS devices will find they have many options to enjoy bingo on the go. Online bingo is one of the best ways for players to enjoy the game. Sites provide exceptional levels of player protection as well as multikey means to manage real money accounts. With various game options, great betting opportunities and the chance to win large payouts, online games are a perfect way to enjoy the action of bingo without having to leave home. Getting started is quick and easy, and players can even grab some free cash by redeeming fantastic bonus offers. With hundreds of sites powered by top-notch software providers, payers will always enjoy enhanced games with added features and verified payouts. Online bingo has become one of the preferred options for players all over the world to engage in real money action and have access to mobile options and multiple game formats.